Burque Blues New Year Dance Fiesta with LIVE Music! We have LIVE Music later in the evening this Friday! 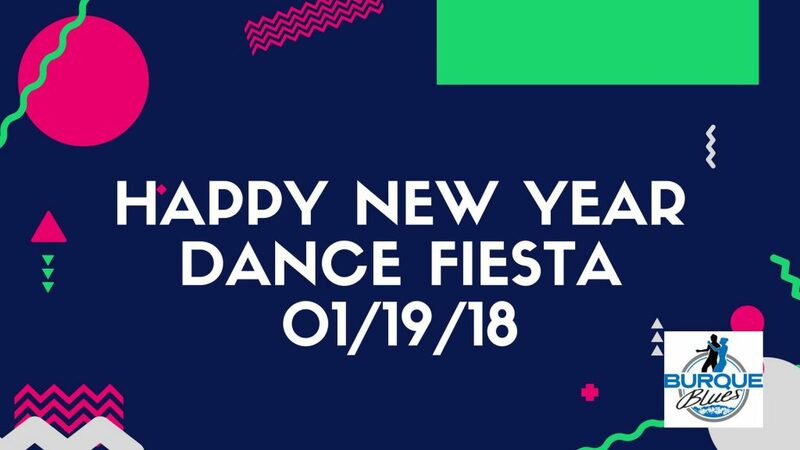 Kick off your New Year’s resolution with a beginner-friendly dance lesson from our community teachers, Miles and Sean, enjoy some tasty food, and groove the night away to sweet sets from local djs. Grab your dancing shoes and get ready to get down! DISCOUNT: Want to save more money? Volunteer! We are always looking for motivated and community-minded individuals to join our team! 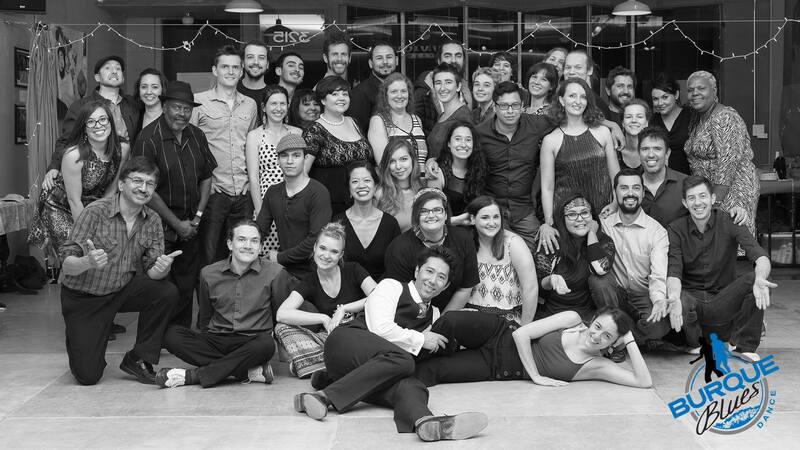 Not only do you get to help build your Blues dance scene, but you also get the lesson and dance for FREE. Contact John! Exact change is very helpful. We also accept credit cards! IMPORTANT: Burque Blues is dedicated to providing a harassment-free and safe social dance experience for everyone regardless of dance ability, dance background, gender, gender identity and expression, sexual orientation, disability, physical appearance, body size, race, age, religion or any other characteristic or trait. We do not tolerate harassment in any form. Individuals violating these rules may be sanctioned or expelled from the venue at the discretion of the host(s). NOTE: Please bring dance shoes to your Blues dance. If you do not have dance shoes, please use the brush under the benches and remove the tiny rocks and other grit from your shoes when you walk in. Please ask me if you need sources for dance shoes! You can also dance in socks or barefoot as well 🙂 thank you!